Question of the Week: What Is Your Routine? Having a routine is very helpful when you are losing weight. Having a set schedule when you know you’re supposed to eat or exercise can reinforce positive behavior. 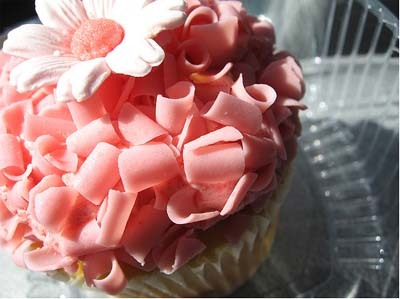 Of course, routine can also make eating healthy difficult if you have negative habits programmed into it. What are the positive aspects of your routine that make eating healthy and exercising easy? What are the negative aspects of your routine that make eating healthy and exercising difficult? What can you do to make your routine more positive and your days run smoother? 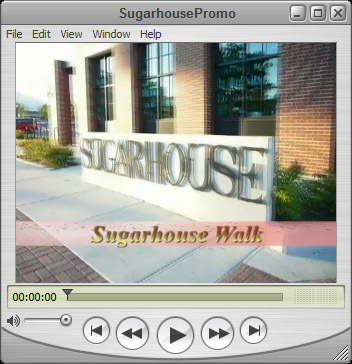 I have just finished filming the Sugarhouse Walk Video. Just like the Swami’s Beach Walk Video, this is a different kind of exercise video where there is no coach talking or irritating music. 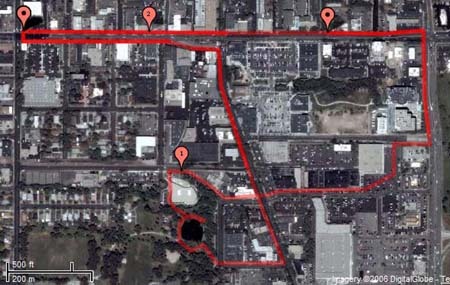 It’s just a walk around the historic Sugarhouse shopping district and Fairmont Park. With a recommendation like that, how could you resist? Another great addition to this video is that it has a DVD menu just like a “real” DVD. You can start the video at the beginning, or you can choose your workout duration (47, 40, 35, 30, 25, 20, 15 or 10 minute durations). While you’re watching the video, you can skip ahead using your DVD remote. This time, I tested the video on the treadmill AND the exercise bike before posting it here. It works great with both because I consciously avoided walking on grass or over areas that a bike couldn’t go. When I exercised with this video on the exercise bike, it felt like I was riding my bike on a steep incline because I was going so slow. It actually worked for me and I wished that I could steer my handlebars in response to the turns. Just like before, I’m offering this workout DVD for $5 plus shipping. The show itself appears to be a soap opera/reality series that takes place in a trendy gym in Los Angeles. I’m excited to see it. I’ve already missed two episodes, so I need to find those reruns if possible. For now, there are several little fitness tips on the Bravo website to enjoy! Have any of you seen this show yet? Is it worth watching? Have Dinner and a Roll in the Grass! I want to go to Sammy’s Supper Club! Not only do I get to eat; I get a little exercise afterwards! I love Ballard Street comics. Jerry Van Amerongen has such an inventive imagination. I would have never thought about rolling around in the grass after a meal. It sounds like such a fun thing to do and the people in his comics are enjoying it so much. Next time you enjoy a meal, remember this couple and think of something active that would be fun after dinner. I totally agree with what he says about these fast food restaurants. 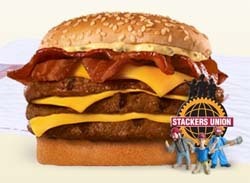 I don’t think we need to legislate food to keep ourselves healthy. As long as we have the nutrition facts for the food we eat, the choice is ours. I don’t want the government trying to protect me from myself. I just want the data about the food I eat. My Nike+iPod finally came in the mail on Tuesday evening at 8:30 pm. I was so excited, I made Mike download the new iTunes and iPod software, so I could calibrate my Nike+iPod that very evening. The Nike+iPod consists of two items: one sensor that attaches to your shoe (a little red and white pod) and a receiver that attaches to your iPod (the white box at the bottom of my iPod). 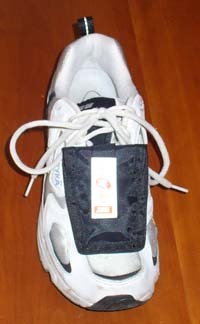 The sensor is meant to fit inside a special pocket in Nike shoes, but you can use it with any shoe if you purchase a Shoe Wallet. 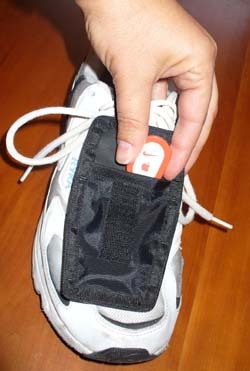 Here is a picture of me putting the sensor into the Shoe Wallet. I was worried about the sensor and whether it would read accurately in the Shoe Wallet instead of being in the overpriced Nike running shoes. Fortunately, the software allows you to calibrate it. I got on a treadmill, walked .25 miles and calibrated it for walking. Then I did the same thing with running. It worked pretty well and after taking it on my first run, it looks like it’s pretty accurate. It said I ran 1.39 miles and Google Maps Pedometer says it was 1.27 miles. The difference of 0.12 miles isn’t going to make or break me, but I would like to see if I can get it to be a little more accurate. After a few more runs, I should be able to tell you more about the accuracy. I was also worried that the Shoe Wallet would flop around and be a distraction on my foot, but it was secure. It stayed in place during the run and I didn’t even notice it there. I bought two, in fact, so my shoes could match. I put my house key in the other one, so all I needed to carry was the iPod. While you’re running you can press the middle button anytime to hear how far you’ve gone and how long you’ve run. I chose the female voice. She doesn’t sound computerized at all, which is a benefit. She reminds me a little bit of the Star Trek computer voice. 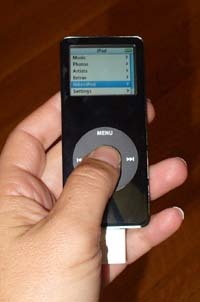 All those statistics (distance, time, and pace) are shown on the iPod screen in addition to the name and artist of the song playing. I really only pressed the middle button once to hear the stats. It was so much easier for me to just look at the screen. Since I’ve only gone on one run, it doesn’t have a lot to show, but I found it so pleasing to see it on the screen after doing my run. I was very skeptical of an online system to keep track of my runs. It kind of bugs me that I can’t download this data to an Excel spreadsheet, but seeing my information on the screen still gave me the positive reinforcement that I crave when I’m exercising regularly. It lets you choose a goal based on frequency, speed, distance or calorie expenditure. I saw the phrase “More Often” and it was exactly what I needed. Even though I have a race coming up, I have been slacking off on my running. I really want to start running again regularly and this software knows exactly how to do it for me. I am one run into making my goal and I feel so proud of that little green bar. When I finally do complete that first goal I’ve set, it will show up here, in the trophy case. This is where all my best times will be recorded. Since I’ve only done one run, the totals are not impressive at all, but I can’t wait to beat those times and distances. The Nike.com website really understands how to make running like a video game. Beating my high score can keep me playing a video game far past my bedtime. Beating my best time or longest distance is a way for running to become more like play and less about drudgery. I’m excited to see how this affects my running over the next few months. How Do You Comfort Yourself Without Food? Terry has been finding other ways to give herself comfort instead of food. She has thought of some things that never occurred to me. I love the thought of putting on lotion when I need comfort. So many times I need a hug, not food. What better way to give myself comfort than to take care of my skin? 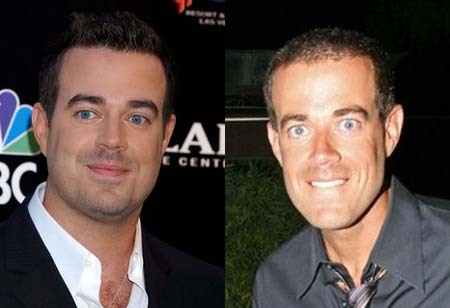 Another star in the red-hot spotlight right now is Carson Daly. He has lost a substantial amount of weight and the gossip rags are making fun of him using the word “Manorexia.” Not too long ago, they made fun of him saying that he was too fat and now they rail on him for being too thin. This is how life is if you decide to lose weight to please others. There is no such thing as a happy medium when someone else is obsessed with your weight. If you are dealing with someone who says disparaging comments about your weight, remember what Carson Daly is dealing with. No matter what he does, the gossip mongers will say something bad about his body. There is no pleasing people like that. Deciding to lose weight to stop the disrespectful comments from negative people around you is the WRONG reason to start eating healthy. Concentrate on surrounding yourself with positive people who make you feel good about your body. Trying to please the negative people will only end up in the “now you’re TOO skinny” backlash.